There are four ways to get from Moscow to the Domodedovo airport – by car, by public land transport, rail and taxi. Each option has its pros and cons and also their cost. By car to Domodedovo international airport can be reached by Kashirskoe highway, then follow the signs, the distance from the Ring road to the airport is 22 km of traffic Jams on this stretch of highway is almost never. Go to the airport by taxi. To do this, take the metro to the station "Domodedovskaya" Zamoskvoretskaya (green line). You need the exit closest to the last carriage from the center. When you exit the glass doors of the metro turn right, go straight until the stop, there turn left, go up the stairs. Cross the road - there is a pedestrian crossing. You will see several taxis and buses, they all have the number 308 and follow to the airport. The fare in the taxi is 120 rubles, in the bus 80. The travel time is 25-30 minutes if the road is free. Use the services of Russian Railways. From Paveletsky station daily perpetrated 69 flights to Domodedovo airport. The first train leaves from a separate platform at 6am. Cash. located in the left side of the station, there you can check in for your flight and Luggage. Trains depart every half hour, a break in the schedule until 12:30. Journey time is 40 minutes, the last train leaves in 12 nights. The fare of this transportation is 320 rubles. The main advantage of this mode of transport is the ability to plan your journey to the minute, since the trains are not late, do not stand in traffic jams. On the other hand, if you are traveling four, a taxi may be less expensive. It all depends on what area of Moscow do you get to the airport. Book a cab. Prices for these services from all providers about the same and depend on the area in which you need to file a car from the class vehicle. The lowest prices for passengers from South-East and southern administrative districts of the capital. The location of Domodedovo airport. 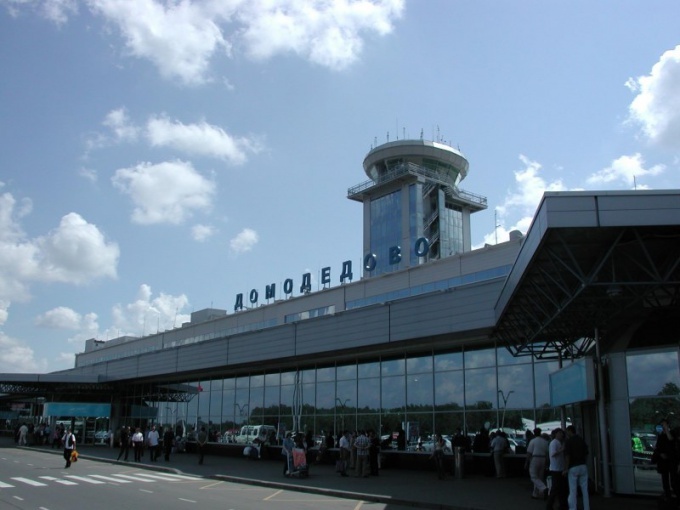 Domodedovo international airport is located 22 km from Moscow ring road on Kashirskoye highway. The airport is connected by regular bus and Shuttle connections to metro station “Domodedovskaya” and the Aeroexpress to the Paveletskaya station. How to get to the Domodedovo Airhotel of. Hotel complex "Domodedovo Airhotel" is located 300 meters from the airport Domodedovo. To get to Domodedovo airport by public transport, car or taxi. The trip by public transport – train, bus or minibus will take from 25 minutes to an hour. This is a convenient way to get from home or your hotel to Moscow Domodedovo airport, even if you have much Luggage. Aeroexpress to Domodedovo is a special rail line linking the terminal to Aeroporto Domodedovo with downtown Moscow.